For years I have described myself as a specialist in participatory processes, naively assuming that people will understand what the work entails and why it is important. 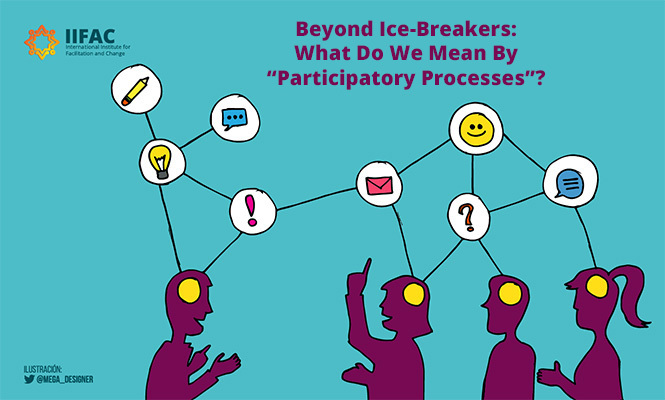 Now that “participatory” has become a global buzz word, however, I feel the need to be more specific about what this multi-faceted concept means to me and the groups I serve. The opposite of passive observation or merely being asked to listen while others speak. Intrinsic to the overall design of a meeting, event or project. Contribute directly to the outcome of the meeting, event or project. Foster a sense of inclusion, of being part of a larger whole. The complexity of the situation means that there is no single, correct solution. There are different points of view about the issue under consideration. Conflicts have already surfaced among the interested and/or affected parties. Collaboration is needed to design solutions that get implemented. To take into consideration cultural differences and learning styles. To provide a variety of ways that people can participate. To be clear about the level impact of that the participants’ voice will have on the final decision. A firm commitment from the decision-makers to honor their promises to the participants. Careful planning and skilled facilitation. Establish criteria for making a decision. Monitor and evaluate the results of the actions taken. I agree with the leadership expert and author, Ken Blanchard, when he says that “None of us is as smart as all of us.” For me, carefully designed participatory processes are a way to stimulate and harvest our collective intelligence. I would love to hear your thoughts! Share This Now. Choose Your Platform. 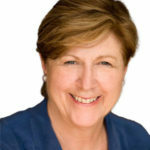 Beatrice Briggs is the founder and director of the International Institute for Facilitation and Change, a consulting firm based in Mexico. A Certified™ Professional Facilitator, she puts her years of experience at the service of leaders who want to make their meetings worth the time, talent and money invested in them. A native of the United States, Beatrice has lived in Mexico since 1998, working in both English and Spanish to alleviate the suffering caused by bad meetings wherever they occur. Contact us to discuss your meeting or facilitation needs. Our logo features an Aztec glyph representing the sun. This golden image evokes its transformative power and reminds us of Mexico’s rich history and culture.